With the introduction of crops engineered for resistance to the auxin herbicides, concern has soared about unintentional injury to auxin-sensitive crops through off-target spray drift, volatility and spray tank contamination. Now scientists have determined that the timing of the exposure has a lot to do with the injury the auxins produce. 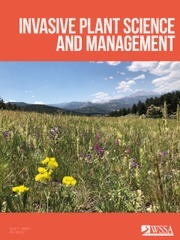 Over a two-year period, researchers compared the impact of the auxins 2,4-D and dicamba when applied to Georgia watermelon crops at two application rates (1/75 and 1/250) and three application intervals (20, 40 and 60 days after planting). Crops were evaluated for visual injury, reduced vine growth, yield loss and detectable residue in marketable fruit. 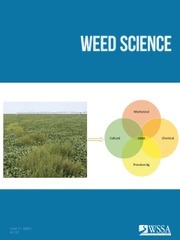 The study showed the greatest factor influencing auxin damage was the stage of melon growth at time of the application. Exposure before the watermelon plants had begun to flower produced greater visual injury and greater reduction in vine growth and yields. Applications closer to harvest increased auxin residues in marketable fruit. Though application rate wasn’t as impactful a factor as timing, the higher 1/75 rate was found to be more injurious than the lower 1/250 rate. In addition, dicamba produced greater growth reduction and detectible residues than 2,4-D.
Want to know more? 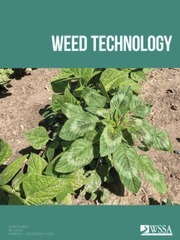 Take a look at the full text of the article, “Effects of Low Dose Applications of 2,4-D and Dicamba on Watermelon” in Weed Technology Vol. 32, Issue 3.